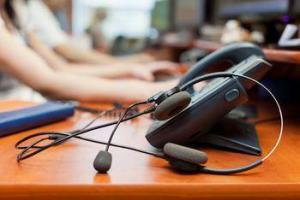 How to spot illegal telemarketing practices and STOP them! Many legitimate companies and charities use the telephone to solicit consumers, however, both telemarketers and con artists alike sometimes use over aggressive scripted sales pitches and high-pressure tactics to harass and rob consumers everyday. The Federal Trade Commission (FTC) provides a national Do Not Call registry where you can simply sign up to avoid unsolicited and unwanted telemarketing calls. You can register your home or mobile number with the FTC for free at 1-888-382-1222 . The call must be made from the phone number you want to register. After registering, telemarketers have up to three months from that date to stop calling you. You may call the same number and file a complaint with the FTC if the calls don’t stop. Telemarketing is regulated at the federal level by two statutes: the Telephone Consumer Protection Act of 1991 (TCPA) and the Telemarketing Sales Rule (TSR). Protect yourself from becoming a victim of telemarketing fraud by being aware of danger signs and the laws telemarketers must follow. Must maintain and adhere the Do-Not-Call Registry. If a telemarketer is hired by a charity to call seeking donations, the telemarketer must keep a “no call” list and you can ask for your number to be put on that list to stop further calls on behalf of that charity. Calls from a debt collector are exempt. Are barred from calling homes before 8 a.m. and after 9 p.m. Prohibited from using automatic dialing systems and pre-recorded messages where they may pose a threat to health and safety, such as using these techniques to call emergency lines and health care facilities. May not send unsolicited or “junk fax” ads to telephone fax machines. Must inform you it’s a sales call, the name of the seller, and what they’re selling before they make their pitch. If they don’t give you the required information, say “no thanks,” and get off the phone. May not ask for any payment in advance for services to help you settle or reduce your debts, repair your credit record, get a loan, or recover money you lost to another telemarketer. You can file a complaint with the Federal Trade Commission (FTC), your state attorney general or the National Fraud Information Center at www.fraud.org. If you are a victim of telemarketing fraud, it’s important to report the scam quickly so that law enforcement agencies can shut the fraudulent operation down.